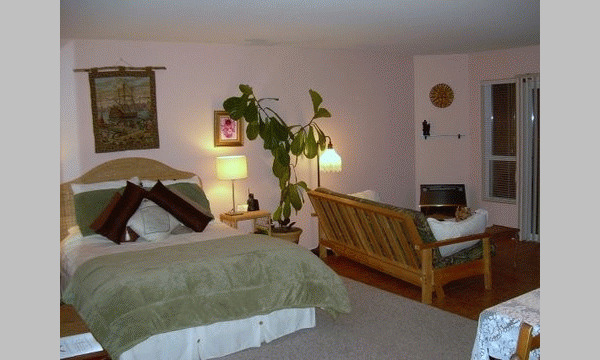 Davis Bay Bed and Breakfast is the perfect getaway location whether you're traveling for business, special occasion, romance or a quiet weekend of peaceful relaxation. 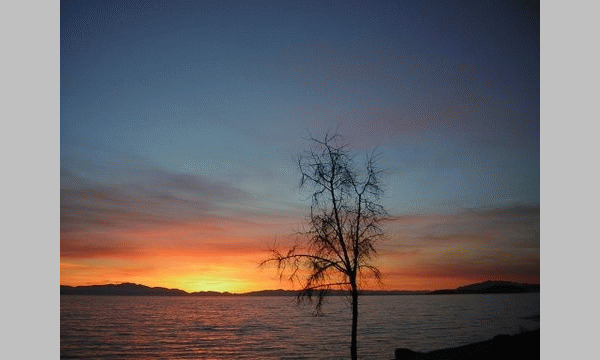 Situated across from beautiful Davis Bay Beach, we boast stunning views of the Strait of Georgia and convenient proximity to downtown Sechelt and Gibson's Landing. We have two suites to choose from, each tastefully decorated with antiques and everything you might need for a comfortable stay. Upon arrival, you will find wine on the table which you can sip while pondering which of our legendary breakfasts you will request for the next morning. We also have the Tree House Cottage, a self-catered detached two-bedroom dwelling. We know you will enjoy our spectacular location! The beautiful beach is directly across the street, and invites strolling, sunset gazing and star watching. In the summer, take a dip in the warm waters of the Straits of Georgia, then wander up the road for a tasty snack or meal. In the fall and winter, curl up in front of your fireplace and gaze at the snow-topped mountains on Vancouver Island, or watch the winter storms roll in across the water. The more athletically inclined will want to explore the many hiking and biking trails of the Sunshine Coast. The trailhead for Chapman Creek trail is about three minutes from our doorway, and is the gateway to miles of trail winding through the lush beauty of a mature coast rainforest. In the winter, the cross-country skiing trails of Dakota Ridge are close by. Birders will enjoy watching eagle mating rituals in February, welcoming the migrating rufous hummingbirds in April, or the antics of the goslings in May. Huge flocks of snow geese and other migrating waterfowl pass through in spring and fall. Owls, herons, oyster catchers, and more are at our doorstep. The business traveler will find this a great place to unwind at the end of the day. Wireless connectivity is available in all rooms. Access to a printer, copier, and fax are available on request. 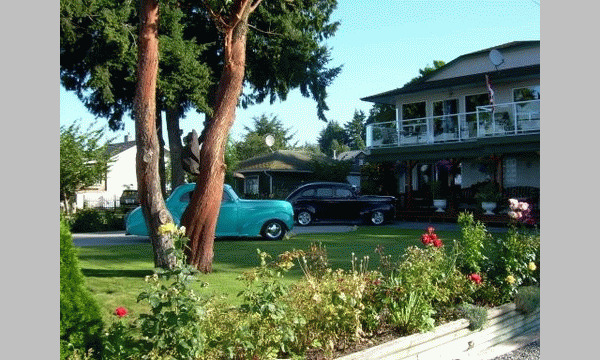 Directions: We are in the small community of Davis Bay on the Sunshine Coast, north of Vancouver. From Horseshoe Bay in West Vancouver, take the Langdale ferry to the Sunshine Coast. Travel north for about 20 minutes on the Sunshine Coast Highway, through Gibson's Landing and towards Sechelt. Just after passing the Wilson Creek Shopping plaza and crossing over Chapman Creek, you'll come around the corner and see the ocean in front of you. We are on this stretch of the road by the ocean, about 5 houses along. There is a large accommodation sign outside of our home, and a carved eagle on a post. If it's dark, look for the green lights on the house. Please feel free to call if you have any questions. My toll-free number is 1-866-885-5404. 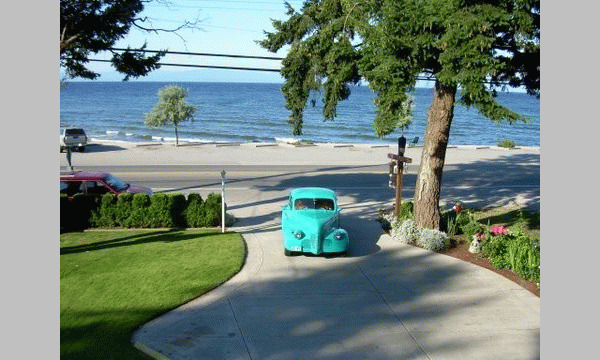 Begin and end your adventure at Davis Bay Bed and Breakfast! 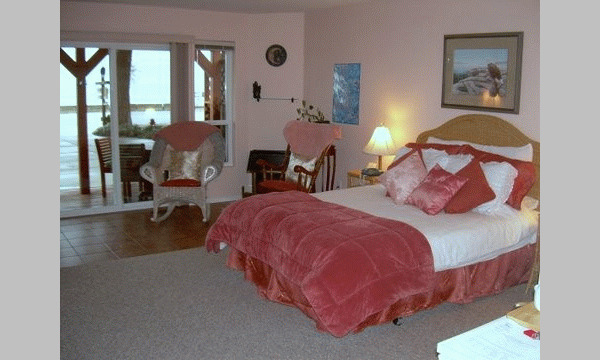 Please visit Davis Bay Bed & Breakfast Website.